AS THE Noosa Pirates rugby league season looks to prepare for a brighter season ahead, it's time to again enjoy some real footballing bulldust. 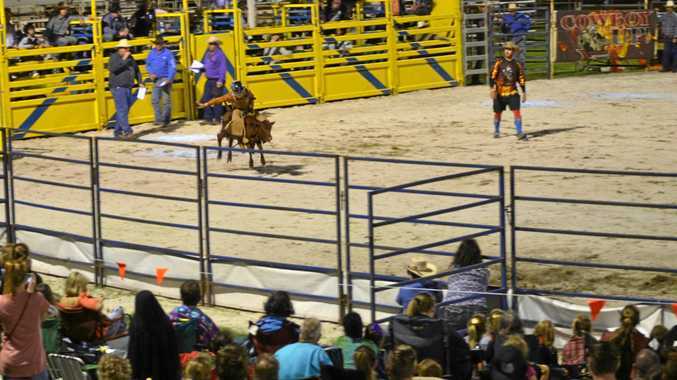 The Pirates have partnered with Evolutional Music to host the re-branded Rodeo Noosa on Saturday, January 5. The major fundraiser is back bigger and better than ever, with a full afternoon and evening packed with live entertainment. Gates open at 3pm at Tewantin's Pirate Park. The afternoon entertainment is by the Ryan Giles Band, Bridget O'Shannessy and Jack 'n' Gypsy Cowgirls - line dancing. That's a boot-scooting warm-up for the evening entertainment featuring some rough riders in the Open Bull Ride in conjunction with the National Rodeo Association. The musical treats keep coming as well with Caitlyn Shadbolt and headline act Mick Lindsay. There will be food vendors, bar and kids' entertainment. The admission prices are: Adults $25, concession $20 and a family pass will set you back $60 for two adults and two under-18s.